Dallas, Texas, 14 February 2017 – Upstart Theater is partnering with local Dallas breweries and presenting a series of silly script readings in order to raise funds for their 2017 season, which kicks off this coming March with “Waiting for Lefty” by Clifford Odets. 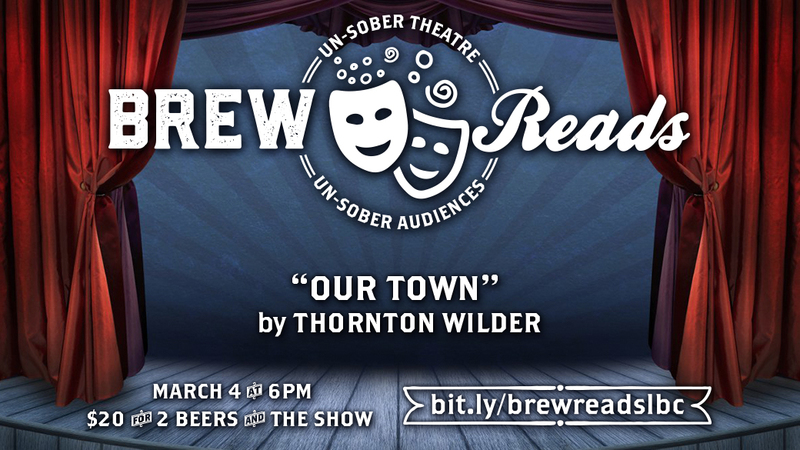 First up in the reading series, is “Our Town,” by Thornton Wilder and directed by Colin Phillips, where patrons will be able to enjoy some great local beer from Lakewood Brewing Company and participate in a shortened and fun-filled version of this classic American script. Raising funds can be one of the biggest challenges in producing local theater and, in keeping with Upstart’s primary mission, our goal is to provide Dallas arts patrons with new and innovative ways to participate and help build a foundation that will provide quality productions within the community. The idea of Brew-read’s was hatched with this goal in mind and is designed to encourage attendees to drink lots of beer, let loose and join in on the fun by participating in the readings themselves. The partnership with Lakewood Brewing on this event was the product of preexisting connections within the company and their openness to working outside the box as well. Upstart Productions is an artistically ambitious company dedicated to the creation of distinct, innovative and compelling theater. Our aim is to make Dallas a major cultural center through the discovery and cultivation of emerging artists. The reading is scheduled for March 4, 2017 with doors opening at 6pm. $20 buys participants 2 beers and ticket to the show. Half the proceeds of the entry fee will go directly to support Upstart and patrons can continue to purchase beer in the brewery taproom until 9pm. Location is Lakewood Brewing Company at 2302 Executive Drive, Garland, Texas 75041 and all information can also be found on the Upstart webpage, www.upstarttheater.com.